I'm sure he'll find his way to a team eventually. Players with amazing histories always do, no one will forget INHUMAN REACTIONS and how experienced he is. NA will come to him eventually. "eventually", it's gone almost 4 years since a decent team has picked him up. He was in Liquid quite literally 2 years ago now. The thing is though, teams need experienced players which there seems to be a lack of open recently. The NA scene will need him eventually and he'll come back as needed. Regardless, the NA scene is a lot different to EU scenes in how it reacts to players like Hiko. 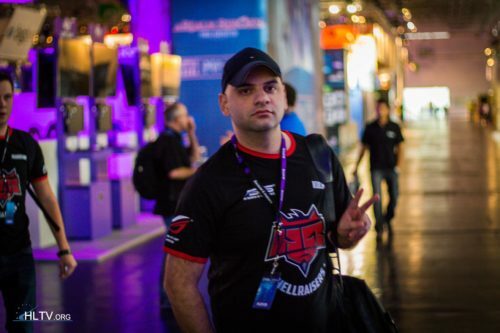 There will be some teams desperate to have Hiko for the experience and all. Sad to say, but Hiko is extremely washed up. He would do well if he did full time streaming or youtube. You need to know when to stop. Look at SPUNJ or Maniac for example. I have inside info that he plans to join Flipsid3. Are they notorious for this in other games? Why he stop streaming btw?? To much moms spaghetti? Don't fit into camera? ?